This is one of those theological questions that has been pursued for generations. Why if God is “Love and Peace” does evil exist? To begin any discussion, let’s take a look at one of the best and most concise definition of Christ ever written. So we begin by establishing that there was something here in our Universe right from the very beginning, that is a time before our limited intellect can comprehend. The Apostle John chose to use the term “WORD” to define Christ. Christ was here at the beginning, was part of the design process, a component of the creation process and, therefore, is part of God. What we conclude from the Word of God, our Scriptures, is that this world and all that is in it was designed and created for a purpose. It is not inconsistent with reason to accept that the process of creation could very well even have been evolutionary. We know little about evil. 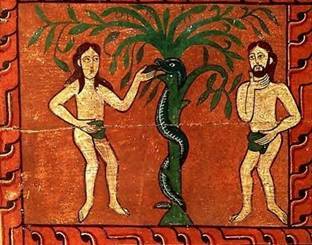 It seemed to be around when we were created and poor Adam and Eve fell victim to a slithery door to door or should we say, tree to tree sales snake in the grass. Punishment for not listening to God was immediate separation from God. And that takes us to a non-theological definition of evil: Evil exists when anything is separated from the very Creator that designed and built us, who loves us so much that became one of us, Christ. Can you recognize places where evil breeds? Are the stories of the Bible an inspiration for you that teach you how to see God in our world? Have you picked friends that inspire you to open your eyes to a hopeful “light-filled” world? Have you practiced sharing what you have learned about God and Christ with others? Most importantly, have you made the choice to allow Christ into your life? The Apostle John also gives us the strongest hint yet of how to avoid evil in our world. On a bright sunny day, close your eyes tightly. You see nothing, you see no light. Yet, all of the beauty of our world, the sky, the mountains, the sea, the living things, the evidence of the Design and Purpose cannot be seen unless you are willingly open your eyes. That is what faith is, a choice. It is darkness, the choice of closed eyes, that breeds human sin. The night is a frightening place to be without any source of light. The bad news was that we were given free will and constantly keep our eyes closed. The good news, however, is that we still have free will and Christ is here to be our guiding Light. Faith and eternal salvation is still just a personal choice away. Remember even a simple candle flame can overcome the darkest night. Your Tip: Pray that the Holy Spirit will always lead you to reject sin, live with open eyes, so that your choice will always be Christ’s redeeming work and God’s light.